Our Round A-Frame Banner features full color custom printing on two sides to Promote your Brand. 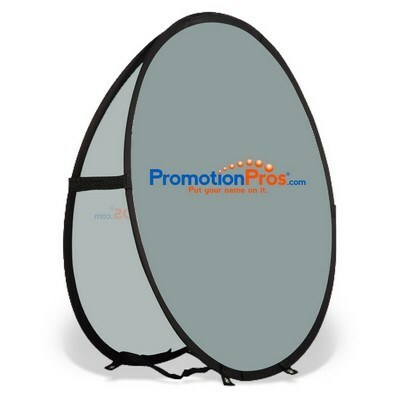 Pick eye-catching portable advertising signs for your next promotional event, trade show or seminar and ensure optimum brand recognition among target audience. Our Round A-Frame Banner is one of the most convenient banner options for multiple events. This type of banner can be set up and taken down easily and quickly without any tools or efforts. Whether placed on a golf course, sports ground or presentation venue, this banner looks stunning and spread your brand awareness. Durable peach skin fabric offers full color custom printing on two sides for maximum brand visibility.